Are you a 25 year old Westfield kid? Westfield Kids’ Club is celebrating its 20th Birthday on 1st November. To recognise this occasion we are hoping to gather historical stories and photos of peoples’ experience with Westfield Kids’ Club that can be shared at a celebratory party on 1st November. We are particularly interested in hearing from parents and kids who have used the service in the last 20 years. If you have anything to contribute or want to book your place at the event please get in contact with Westfield Community Centre on 01455 637 516. 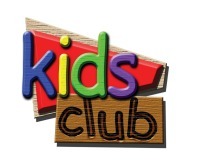 This entry was posted in Kids Club and tagged Hinckley, Kids Club, Westfield Community Centre. Bookmark the permalink.